This Blueberries Lemon Cream recipe blends vanilla yogurt, cream cheese and lemon for a light and refreshing dessert. Play with the amount of lemon for the flavor you like. And the way to go is to have your arugula delivered by Harvest2U, a local Temecula organic produce company. Break up the cream cheese in a bowl with a fork. Drain off liquid from the yogurt and add to the cream cheese along with the honey. Beat with a mixer on high until beautifully light and creamy. Stir in the lemon zest and lemon juice (or switch the lemon for lime!). 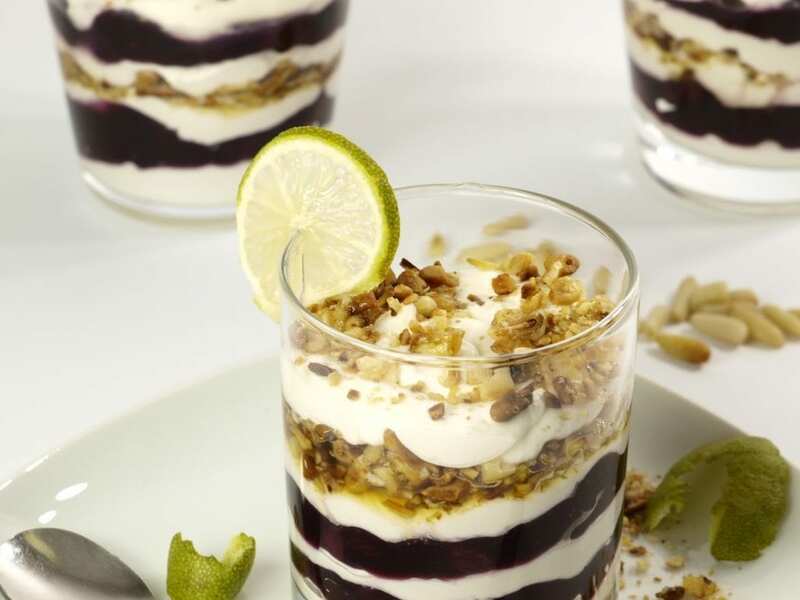 Alternate layers of lemon cream and fresh organic blueberries in dessert dishes or snazzy wine/champagne glasses. Serve immediately. Or, cover and refrigerate for max. 8 hours.